FAIRFIELD — They were oh, so close. Last spring, the Fairfield Warde baseball team reached the championship game of the Class LL and came within one pitch of possibly knocking off three-time defending champion Amity but a based-loaded, two-out walk in the bottom of the seventh gave Amity a 4-3 victory. A total of 10 players from that team graduated, with six players now playing in college but coach Brett Conner still has some firepower on his roster, led by tri-captains Max Lee, Will Mitola and Giacomo Brancato. 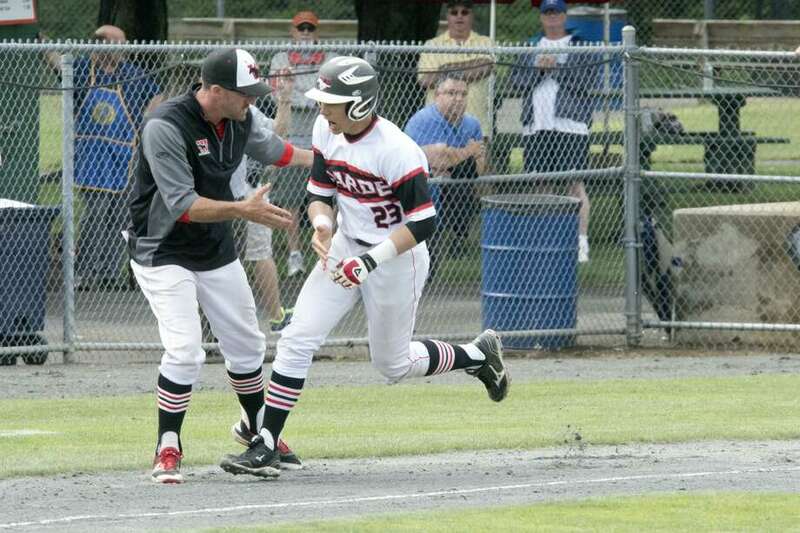 Brancato, who hit a game-tying, three-run homer in the bottom of the sixth in that Class LL championship game with Amity, returns for his senior season, after batting .275 with 16 RBI as a junior. He will play centerfield. Others returning include pitcher Zach McKay (2-2), leftfielder Owen Buhrendorf (.300), second baseman Alex Steele and pitcher Mark Garcia. Conner feels that senior leadership, pitching, offense and speed will be keys to the Mustangs success. Warde finished with an 19-8 record last season (14-6 regular season, 10-6 FCIAC, lost in FCIAC semifinals, 4-1 Class LL tournament). And the expectations are just as high this spring, despite the graduation losses. Ludlowe is coming off a season that saw the Falcons lose seven of its opening eight games, only to rally and qualify for the Class LL tournament and finish at 10-12 (9-7 FCIAC). Ludlowe defeated South Windsor 6-4 in the first round and lost to Simsbury 1-0 in nine innings in the second round. Coach Mike Francese lost five starters but has experience returning in pitcher Matt Kubel (3-2, 2.78 ERA, 38 strikeouts in 40 innings), Matt Landry (.304 average, 12 runs scored, nine RBI) and captain Mike Ghiorzi (.300 average, nine RBI). Francese feels that solid defense, timely hitting and consistent pitching will be key to the Falcons’ success this season. Fairfield Prep coach Rudy Maurtiz is coming off a season that saw the Jesuits lose 3-2 to Amity in the SCC semifinals and fall to Newington 2-0 in the Class LL opening round, finishing 13-10 overall. Prep has a solid core of returning players, including Karl Johnson, Charlie Hoover, Biaggio Paoletta, Chris Rotondo, Dan Kiernan, Ryan Sullivan, Patrick Steed, Telly Colarossi, Will Lucas, Joe Mancini, Dan Fallacaro and Alexey Linsenmeyer. Prep’s captains will be the senior class. “Collective leadership” Mauritz wrote. “We are looking forward to getting on the field, competing and have a great season.” Mauritz wrote. Notre Dame-Fairfield reached the second round of the Class S tournament last season, knocking off Parish Hill 12-0 in the first round and losing to St. Paul 4-0 in the second round. The Lancers ended with a 12-10 record (7-6 in the SWC Patriot Division). All-State outfielder Mike Bevino returns for coach Bill Mazzucco, as does pitcher/infielder Dillon Higgins, pitcher/infielder Pete Minore, pitcher/outfielder Nolan Nemchek, pitcher/infielder Jeremy Tierney and pitcher Brandon Cegelka.